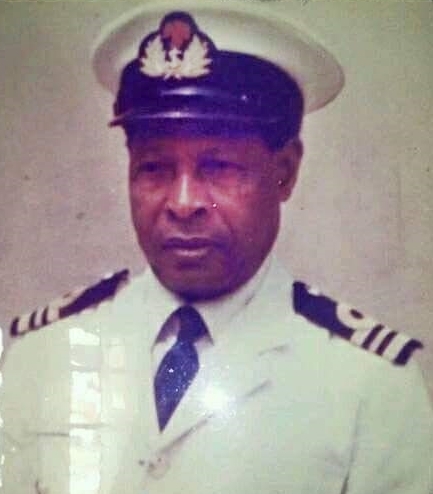 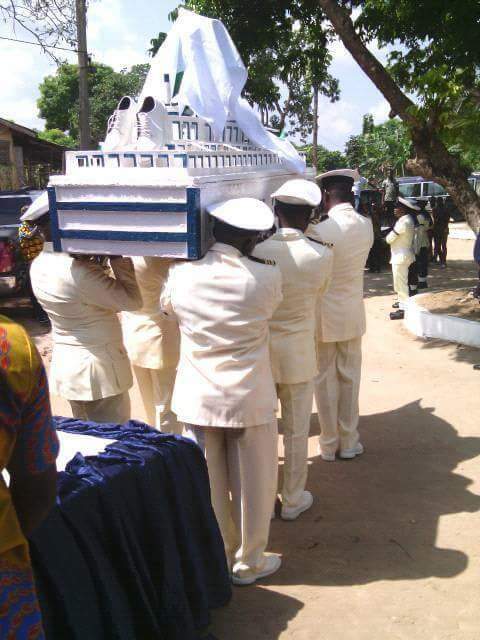 Retired Naval officer, Lt Cdr EE Ujong was buried in Ugep, Yakurr LGA of Cross River State, in a ship-like casket. 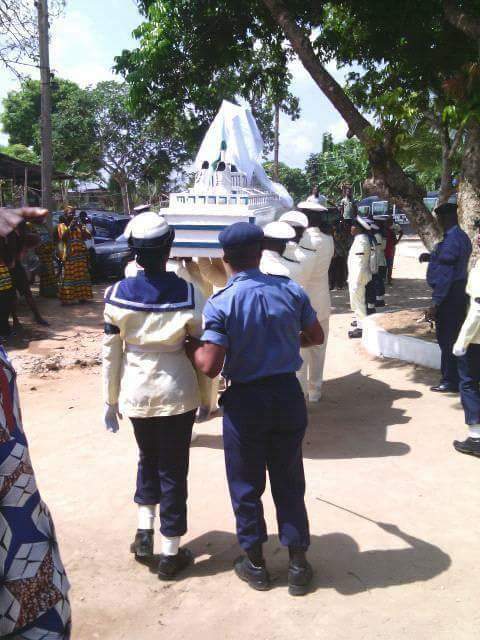 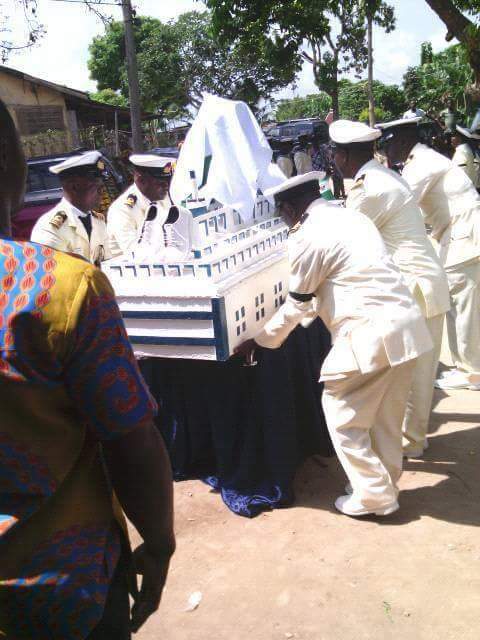 In a customized ship-like white casket like a royal personality, a retired Naval officer, LT CDR EE Ujong, was laid to eternal rest in Ugep, Yakurr Local Government area of Cross River State. 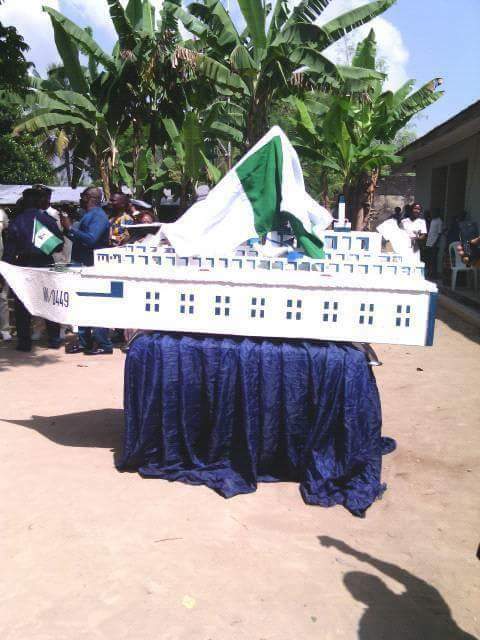 It was learnt that the ship-like casket was built by an indigene of the village.